Neenah Classic Crest 80 LB REAM Smooth Solar White Paper Pack 250 Sheets at Simon Says STAMP! 04701 This item is on reserve until If you would like to reserve this item now, you may purchase it now with the rest of your order. We will hold your order now and ship your entire order as soon as this item is back into stock. If you would like your order to ship now, please place this item on a separate order. Success, Neenah Classic Crest 80 LB REAM Smooth Solar White Paper Pack 250 Sheets has been shared! 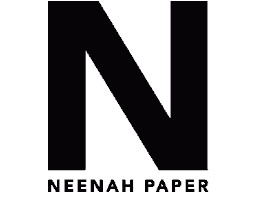 Pack of 250 pages, 80 lb paper 8.5 x 11"
Neenah Paper’s #1 selling premium Writing, Text and Cover paper Available in Neenah's CUSTOMARK Program. Just like creating a genuine private watermark, CUSTOMARK allows smaller “custom” quantities. Watermarked and non-watermarked Writing weights Manufactured acid free with archival properties. *Please note that there is a $25 surcharge to ship this ream of paper outside of the USA.